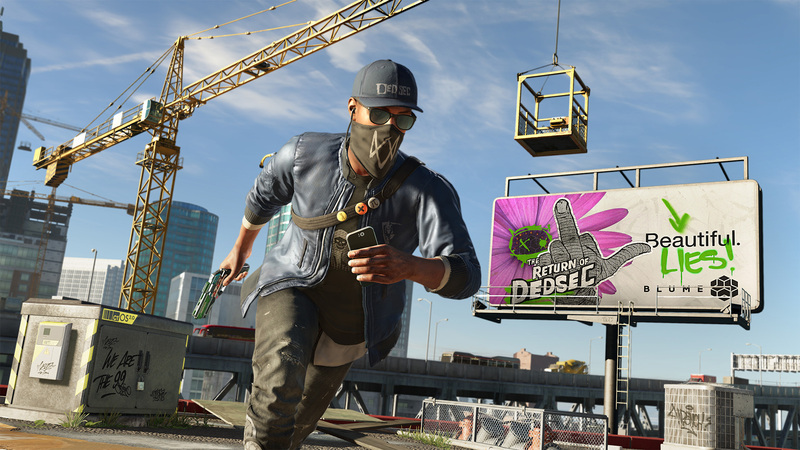 Watch Dogs 2, the new entry of the series developed by Ubisoft, is releasing next month on PC and consoles, and the European publisher has been recently talking more about its upcoming game. In a recent Q&A session hosted on the series’ Official Twitter profile, Lead Writer Lucien Soulban revealed some interesting new details regarding the game’s story and gameplay content. One of the biggest issues of open world games is how side content isn’t always related to the main story, but it seems like Watch Dogs won’t suffer from this problem. According to Lucien Soulban, Watch Dogs 2 side missions will always contribute to the main storyline, providing additional details on characters, locations and more. Completing them will fill out the story and make it more enjoyable. Speaking about the Watch Dogs 2 story as a whole, Lucien Soulban talked about some ways he feels they have improved the story from the previous game. In the second entry of the series, the team focused on Marcus’ interactions with the rest of the group to convey a larger sense of family and community and show the power of bonds. Soulban also noted how a revenge story, like the one of the original Watch Dogs, requires writers to sell the person that dies really well, something the team failed to do in the previous game. Speaking about choices and how they may influence NPC behavior, Lucien Soulban confirmed that the previous game’s notoriety system will not be back in Watch Dogs 2, as Marcus is a relatively unknown person, compared to Aiden from the previous game, so it woudn’t have made sense with the whole gathering of followers found in the new game. Lastly, it seems like there’s a small chance that Aiden Pearce may make an appearance in Watch Dogs 2, as Lucien Soulban stated that there’s always a chance of seeing someone from past games when asked about the matter. Watch Dogs 2 launches on November 15th on PC, PlayStation 4 and Xbox One.